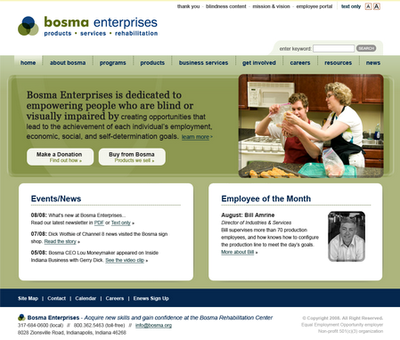 TBH Creative would like to announce the launch of a new and improved Bosma Enterprises web site. 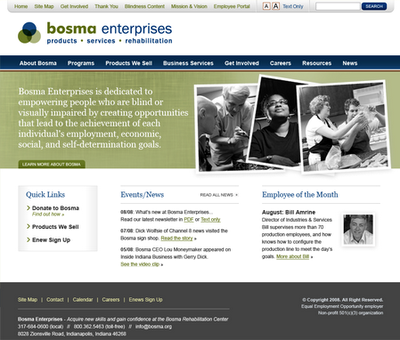 TBH Creative was hired to create a new design for Bosma, and prepared 2 unique options. The process started with discovery of all needs, reworking the site architecture, and review of various sites and branding materials. The 2 web designs created and presented by TBH Creative appeared as below and were combined into the final selected web site design. 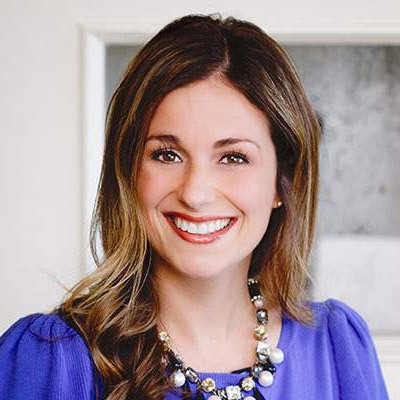 Who is Bosma Enterprises? 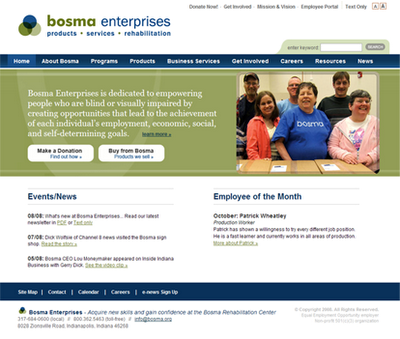 Located in Indianapolis, Indiana, Bosma Enterprises is dedicated to empowering people who are blind or visually impaired by creating opportunities that lead to the achievement of each individual’s employment, economic, social, and self-determining goals.